Clark Hering received his B.A. degree from Wake Forest University and his J.D. degree from The Dickinson School of Law in Carlisle, Pennsylvania, in 1992. He first practiced in Wilmington, Delaware, where he devoted his practice to insurance defense, civil litigation, and real estate law. Since moving to North Carolina, he has concentrated his practice in the areas of insurance defense and civil litigation. 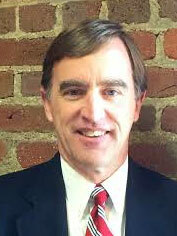 He has extensive trial experience and has handled cases statewide. He has also been a certified superior court mediator since 2003. Wake Forest University, Winston-Salem, NC, 1985 – B.A.